I write the monthly columns covering radio propagation and space weather, in CQ Magazine, Popular Communications, and CQ VHF Quarterly. I use various software tools, to help both analyze propagation, and also predict the conditions of various radio paths that I wish to engage (for DXing or other hunting). One of the tools I use is ACE-HF Pro. ACE stands for Animated Communications Effectiveness, a coverage display technique originally developed for U.S. Navy submarine communications. ACE-HF PRO, Version 2.06, is the System Simulation and Visualization software written for HAM Radio Operations and Short Wave Listener Operation. See the reviews, below, for the full details on the features for Ham Radio and SWLing. The ACE method shows a sequential series of coverage maps. When the maps are animated, a movie is shown that displays reception of the signal in question. This helps you see in a glance what operating conditions are like during the period you are modeling. In addition, all graphs and circuit analysis results can be animated, to give you a complete picture of what's expected in the model you are displaying. Thanks for posting all the information. Reading and understanding prop prediction and values is one thing I really need to work on. 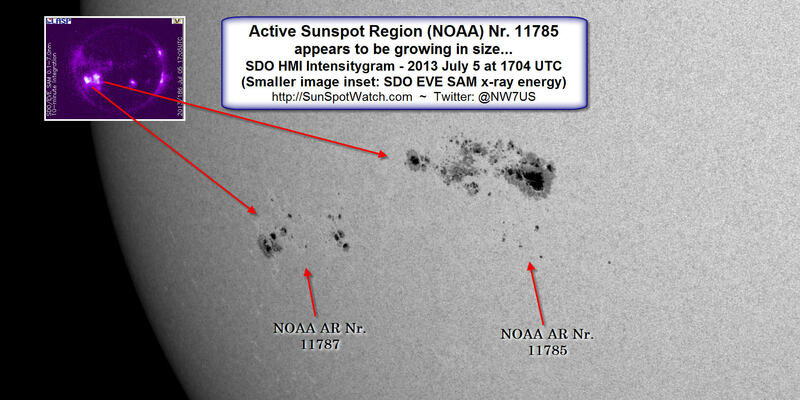 Everyone is on the air now talking about a huge sunspot today. The sunspot region may start producing x-ray flares, which result in nearly instant radio blackouts on the sunlit side of the Earth. They don't last long; once the x-ray flare is over, the ionosphere begins returning to the pre-flare condition. Some sunspot flares are also associated with a coronal mass ejection. If the CME is directed toward the Earth (they are not always), then in two to three days after the CME erupts from the Sun, it could cause a geomagnetic disturbance or storm, which lowers the MUF of a given radio propagation path.